It has been a while since I have reviewed a pair of jeans! Lately I have been working a lot, also exploring different parts of Southern California. I have fallen in love with Malibu, CA. If you have not been there before, I suggest you take a drive down the Pacific Coast Highway and check it out! 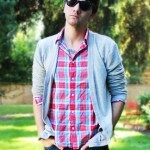 I am also excited to start wearing some of my Fall clothing, even though it is still pretty hot in Los Angeles. I will confess that I am obsessed with Levi’s and their jeans. 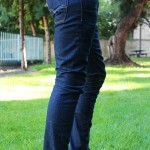 With that said, I am reviewing a pair of Levi’s 510 Super Skinny jeans. What I really love about Levi’s is that everything they do is intentional and has a reason. For example, you’ll notice that the acruates are a lot more shallow than most of your Levi’s jeans, however I believe it is sort of paying tribute to the Levi’s 501 circa 1966, which also has shallow arcuates on the back pockets. Levi’s 510 Super Skinny jeans are really fun to wear because you can style them in so many different ways, and change your personal style, if only for one day. I normally don’t wear jeans this tight, however I own several pairs of 510’s and wear them occasionally. If you wear them true to size (like I did in the review) you have a very skinny jean. 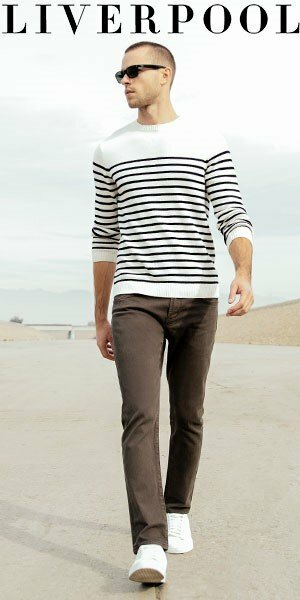 However if you size up one, it creates really cool fit, almost a slouch skinny jean. Whenever I wear jeans that are very skinny, I choose to go with a top that is not tight. I love this plaid shirt that I am wearing but I am going to retire it for the season because it is more of a Summer shirt, but I had to wear it just one last time. 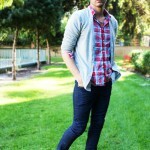 A cardigan is a very easy way to step up any outfit. 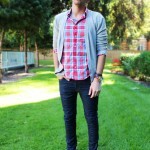 And again, just like the 510 Super Skinny, there are many ways to wear a cardigan. You can wear a cardigan true to size, or size up a few like I did and wear it as an over sized cardigan. I do not really like the sneaker look with skinny jeans because that is too punk rock for me, so I normally pair them with an awesome pair of boots or a pair of derby shoes. 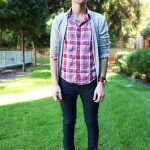 I definitely think you should try wearing a pair of Levi’s 510 Super Skinnys and mix your style up for just a day! 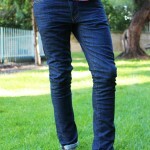 The Levi’s 510 Super Skinny Jeans review here are available online from ASOS. What shoes are those? I’ve always wondered..
What shoes are those? I've always wondered..